Many people who are new to Internet Marketing become confused about the differences between CPA offers and affiliate offers. While there are some similarities, there are enough differences that it’s important to take note of them. 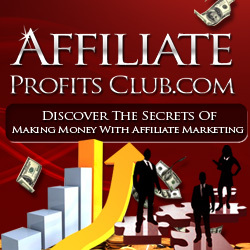 First of all, affiliate marketing is when a company (or affiliate network) provides you with a unique link. You take this link and drive traffic to that company’s offer. If some of the people who click your link end up making a purchase, you get a commission. Some CPA offers work exactly the same. However, most of them are quite different. CPA offers are defined by those that pay you when a certain action is taken by the people you’ve sent through your link. Samples of these actions include signing up for a trial, entering a zip code, entering an e-mail, etc. When you sign up to promote a particular offer you will get a code that is quite similar to an affiliate code. It is unique to you, and will allow the company to tell that it was you who made the sale. You’ll also drive traffic through this link in the hope of getting conversions. The good news is that getting theses conversions is often a lot easier when you are using CPA offers! Think about it this way — if you’re dealing with a company you’ve never heard of before, but you’re mildly interested in, are you more likely to buy a $50 product from them or give them your e-mail address in exchange for a free sample? If you’re like many people — you’ll take the free sample! While you might have lost that sale as an affiliate marketer, you can still make money when you’re using a CPA offer. That’s because many CPA offers only require the customer (or potential customer) to participate in a very simple action (like entering a zip code or e-mail). Obviously, the company hopes that the person will go on to make a purchase or take advantage of an offer. Even if the person doesn’t end up spending money with that company, YOU still get paid with these kinds of offers. It should be said that understanding CPA offers is a bit more difficult than it is to understand affiliate offers. You’ll have to check with each offer you want to promote to see how you are able to promote it, and what specific actions the person needs to take in order for you to get paid. While you can make money with both CPA offers and affiliate marketing, there are many more opportunities to do so with CPA. Now is the time to become as knowledgeable as you can about this great business model so you can start to put it into practice.